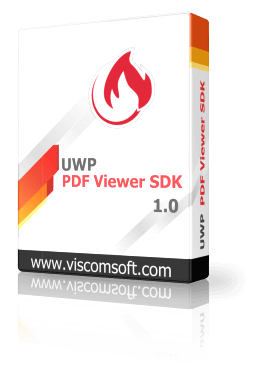 UWP PDF Viewer SDK that help developers create a customized PDF Viewer application on Universal Windows Platform. 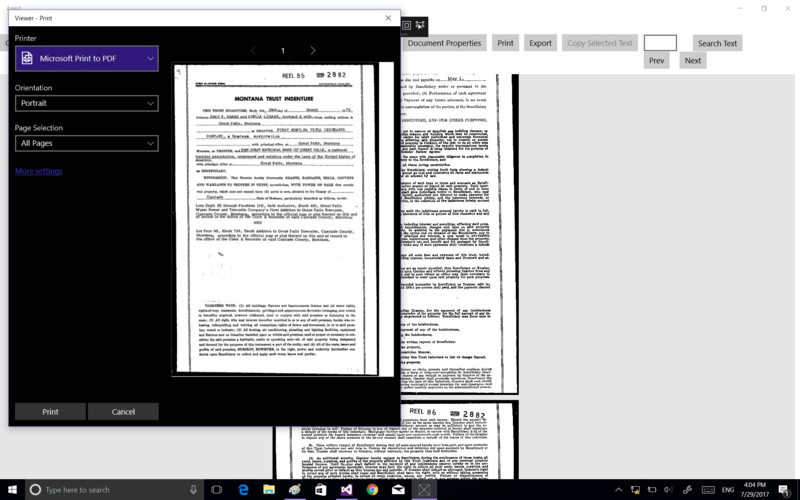 You can run the same app on any Windows 10 device from phones to desktops. 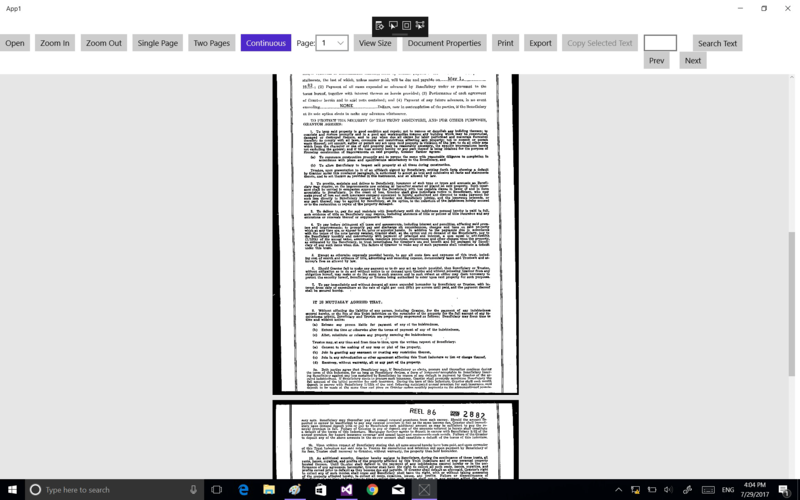 Load and view PDF document, TIFF, JPEG, BMP, PNG image files. Support single page and two-page facing view. Support search for a list of user-specified words and sentences and automatically highlight them in the PDF document. Support open password protected PDF document. Extract text and save to text file. Export page to BMP, JPEG, PNG, TIFF, GIF image file and user-specified zoom size. 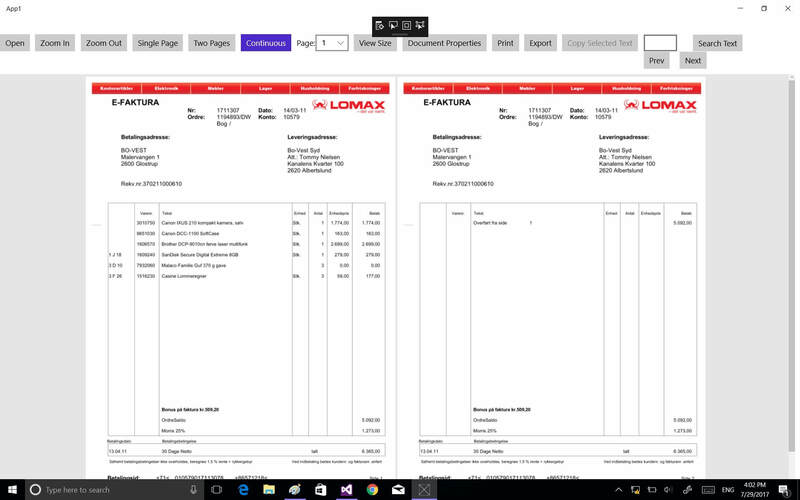 Support zoom in, zoom out, Fit Page, Actual Size, Fit Width, Fit Height and Zoom to a specified ratio. Full Unicode support including Chinese, Japanese, Arabic and Hebrew. Retrieve Document Properties (Title, Author, Keywords, etc.). 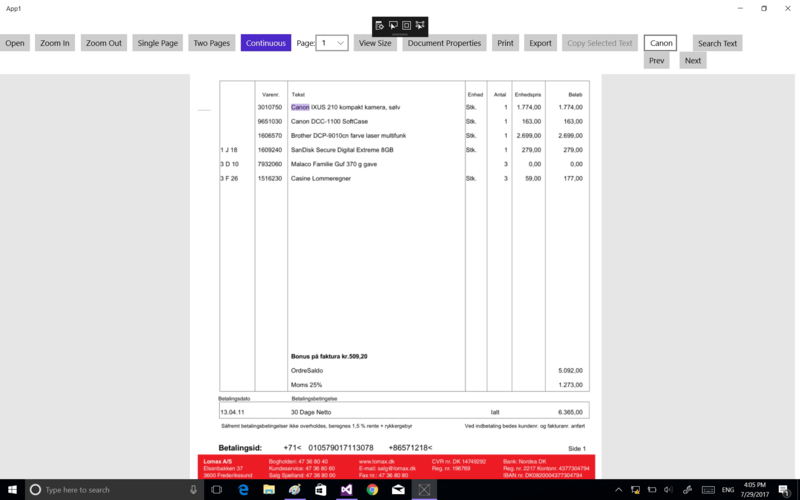 Include C# 2015, PDF Viewer Sample Code. Royalty free distribution of the SDK files.